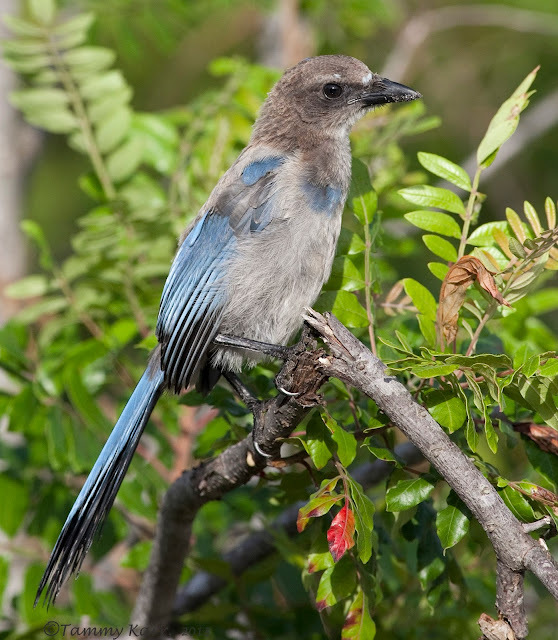 Florida Scrub-jays, our state's only endemic species, are high up there on my list of favorite species. 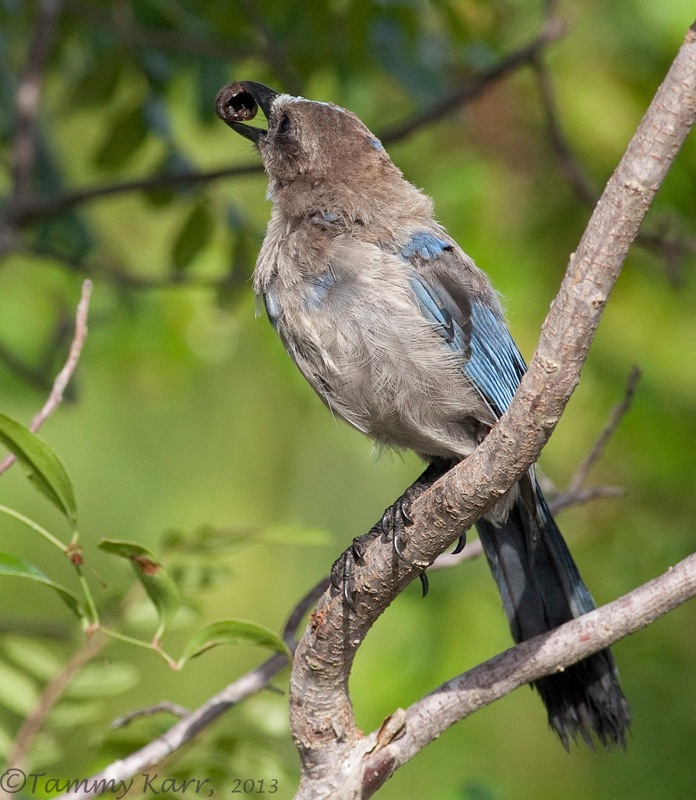 These beautiful birds are bold, social, charismatic, and usually quite entertaining. 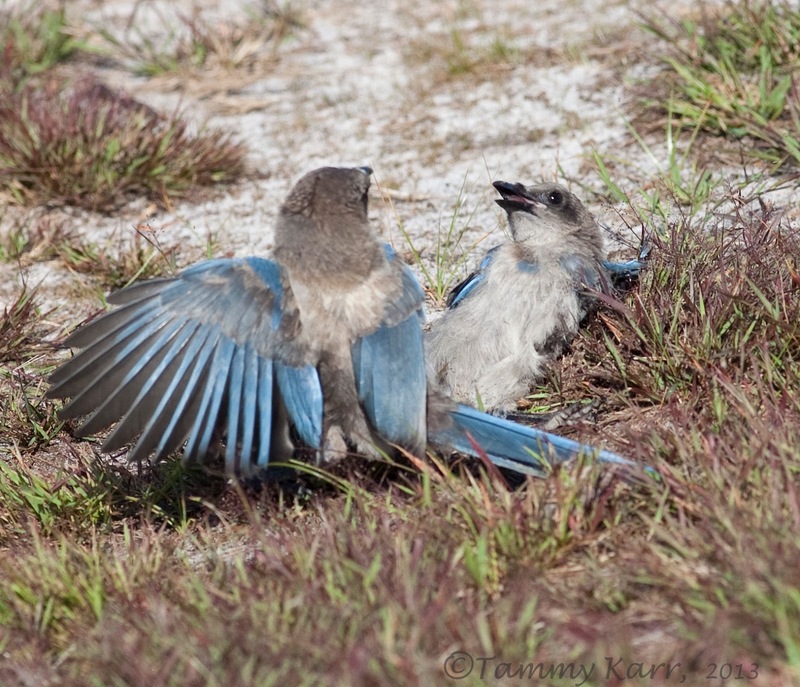 Add a handful of spunky juveniles to the mix and your sure to see some interesting behaviors. 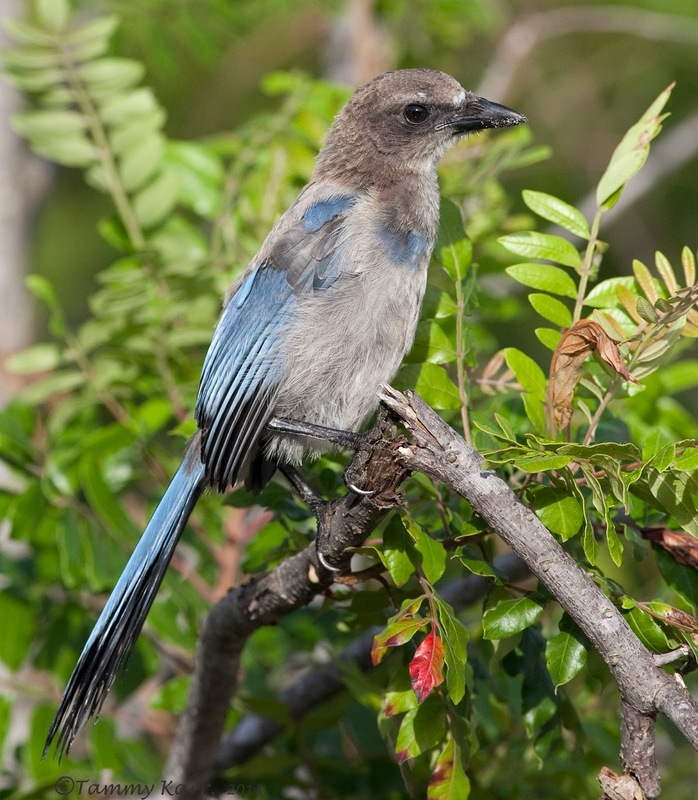 I often go for walks at a local small sanctuary that has several colonies of Scrub-jays. 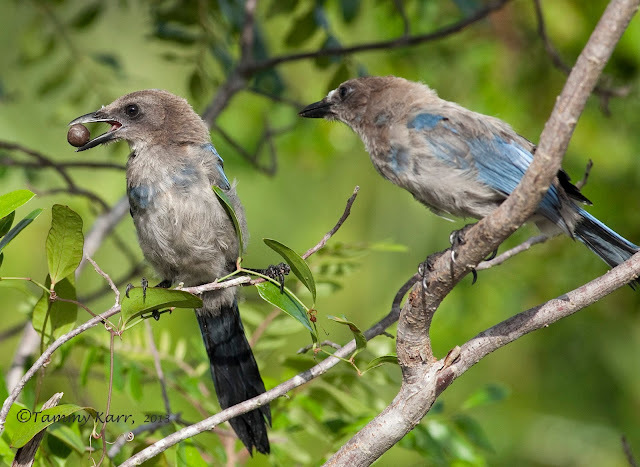 This summer there were several juveniles that made regular appearances on the trails. These jays are known to find you before you have a chance to find them. 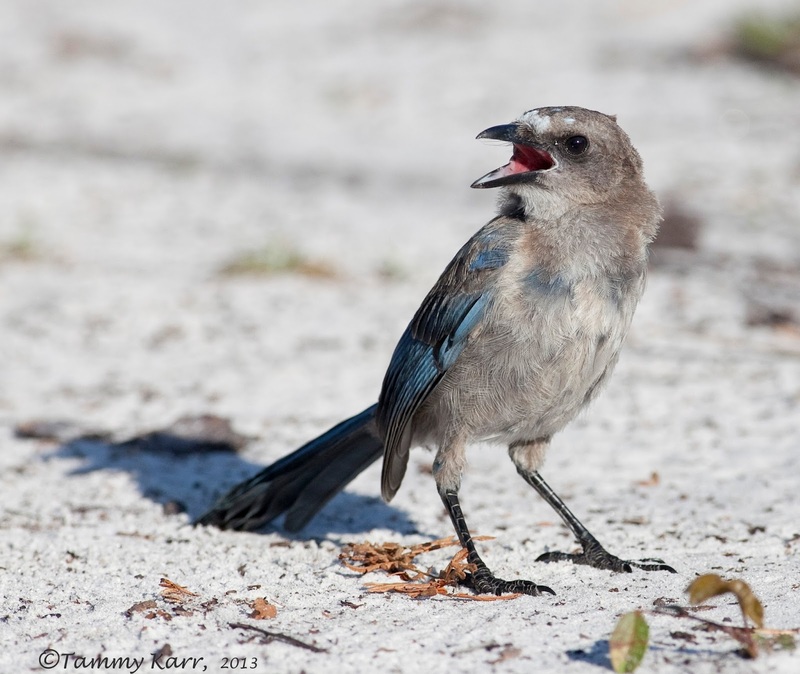 Like most juveniles, these jays make their needs known, loud and clear. 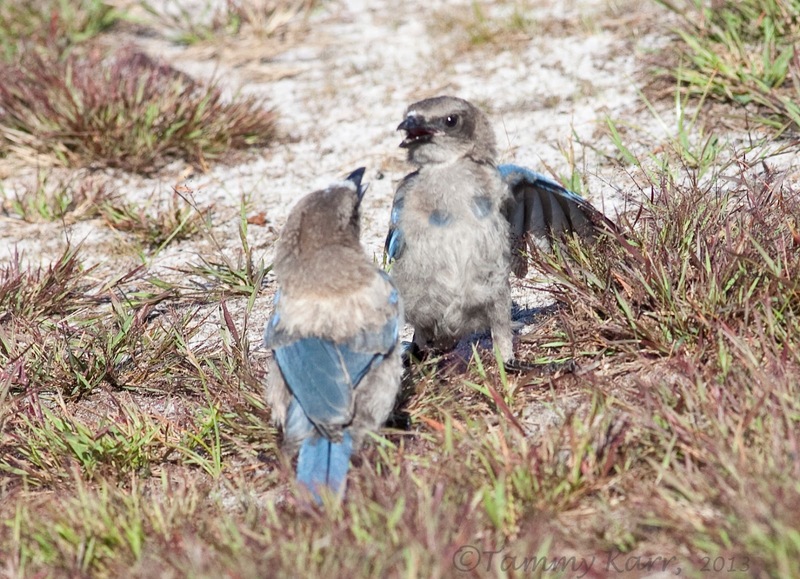 As this youngster called from the trail, an adult quickly appeared with a small bug. Apparently it wasn't enough to satisfy this growing bird. These two juveniles were having a spat over an acorn. The attempted acorn swindler decided it really didn't want the acorn after all. 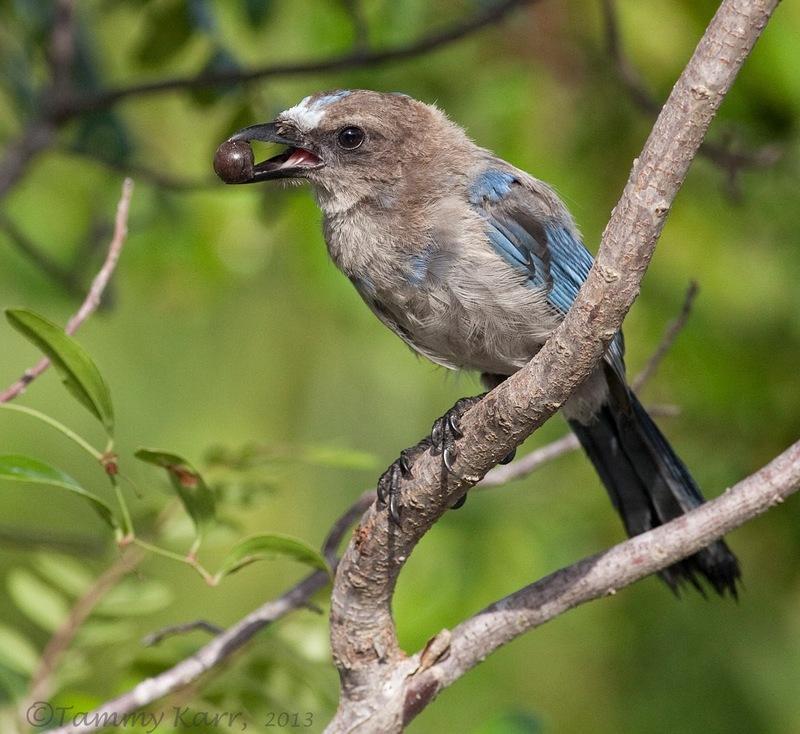 On several occasions, I've seen young Scrub-jays feeding other juveniles. This behavior is part of the social system this species employs. Unlike Western Scrub-jays, Florida Scrub-jays often utilize a cooperative breeding system. This involves young jays, often from the previous brood, acting as helpers to the breeding pair. This help can include feeding the young and protecting the territory. Some interesting details and photos. It sounds like a good system, and it's one some Australian species use too. 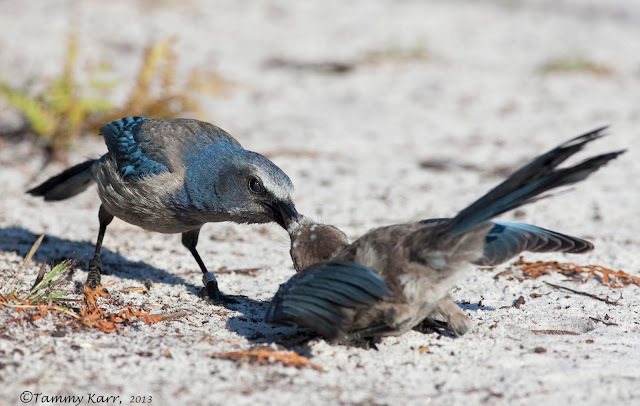 That's fascinating that the juveniles help the family! 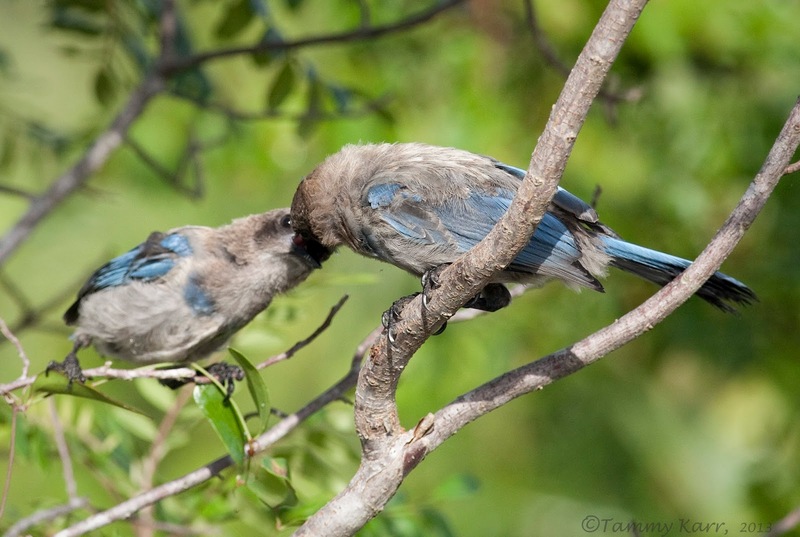 I love your scrub-jay photos! Great post, Tammy! Hi Tammy, your photos of these Scrubs are absolutely gorgeous! We spend time, during the winter months, in Jonathan Dickinson State Park in Hobe Sound, Fl. I love seeing them there! I live, during the summer months, in Colorado, where we have the Western. I simply adore them. I wanted to say that I am so very glad that these Scrubs are doing well! Lovely shots of the little cute birds! Glorious post, Tammy! 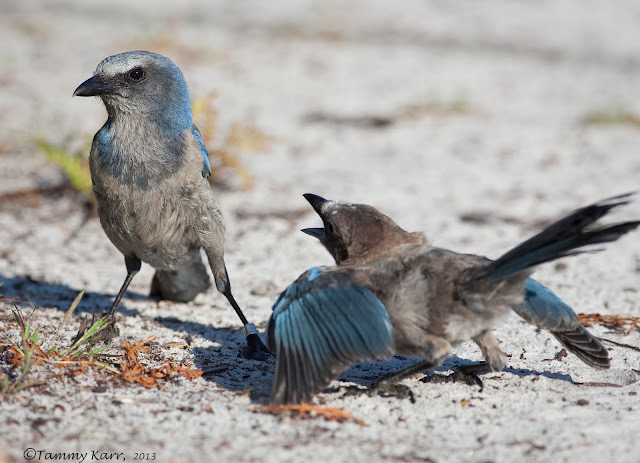 Your outstanding photographs show scrub jay behavior so very well! 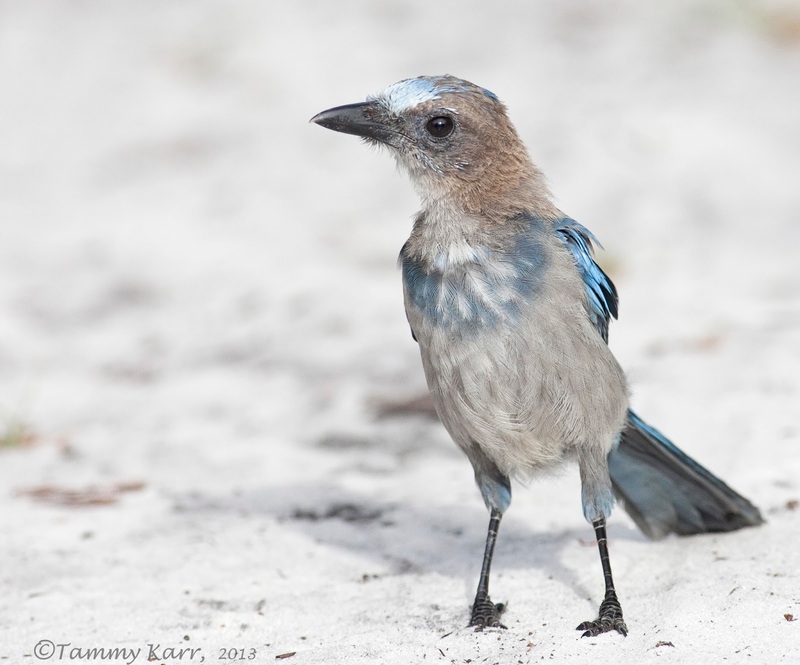 Over the last few years when visiting my parents in Florida (near Sarasota), I have been on the lookout for these very cool scrub jays. So far, no sightings. Viewing your superb post is the next best thing!